Prepare to have your mind blown. 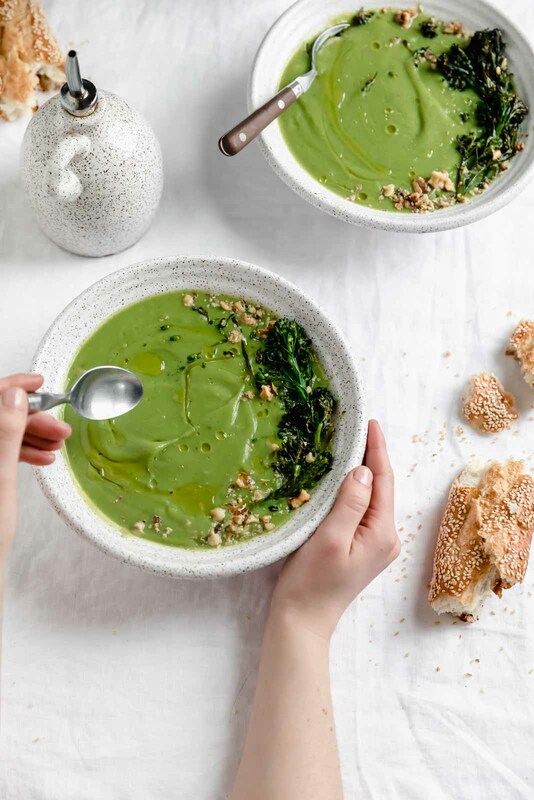 You can make this delicious, creamy, almost cheesy, thick af soup with only one ingredient: broccoli. I know, I know. I didn’t buy it either until I tried it, but this Healthy 1 Ingredient Broccoli Soup is actually DELICIOUS. Am I the only one who’s parents basically force feed them broccoli? My dad used to bribe my sister and I to eat them. I just couldn’t stand the bitter taste. The weird thing is that now I LOVE vegetables: sautéed zucchini, roasted eggplant, charred brussel sprouts, fresh, juicy tomatoes, crunchy bell peppers…like I probably eat a vegetable at every single meal. 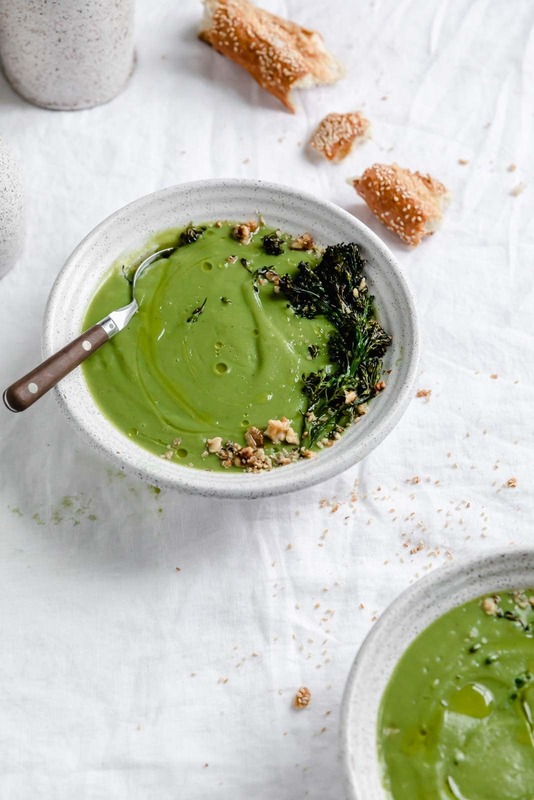 Alex and I came across this broccoli soup recipe a la Gordon Ramsay back in college. He made the soup seem so good that we just HAD to give it a try. And we were absolutely blown away. To this day, it doesn’t make sense to me how creamy and delicious this soup is. Oddly enough it doesn’t really taste like broccoli… it’s much more starchy and slightly sweet. It’s really incredible. Does this soup actually taste good? YES. 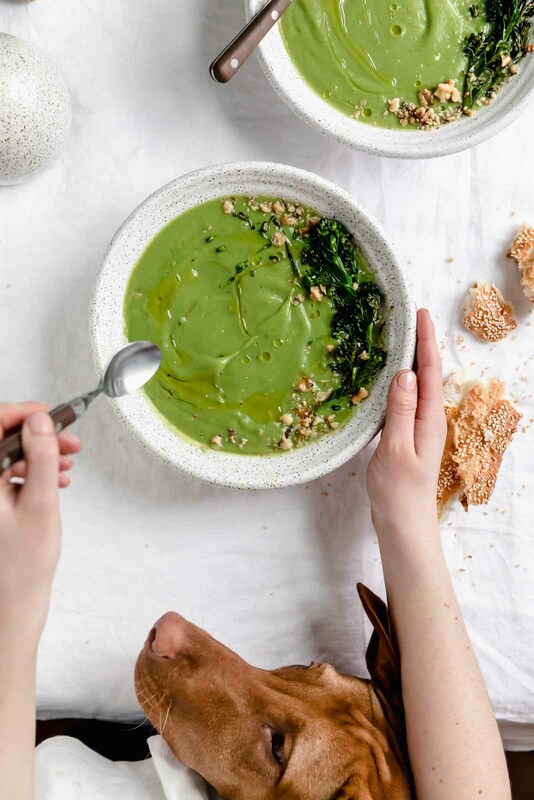 I mean, I’m not about to say that gnawing on a raw broccoli floret is better than eating a grilled cheese, but believe me when I tell you this Healthy Broccoli Soup does not taste healthy. That magical food guru aka Gordon Ramsay takes the credit for discovering when you boil broccoli and then puree it with some of the water it boiled in you get a creamy dreamy soup. After years of making this soup, I’ve adapted his recipe juuuust slightly to make my soup even creamier than his. And time after time, I eat it straight from the blender because I have no patience. Not only is this soup healthy and tasty, it’s also just pretty. This soup looks like it took some serious effort, right? Well boy did we fool you, because it actually comes together in about 10 minutes. Score! 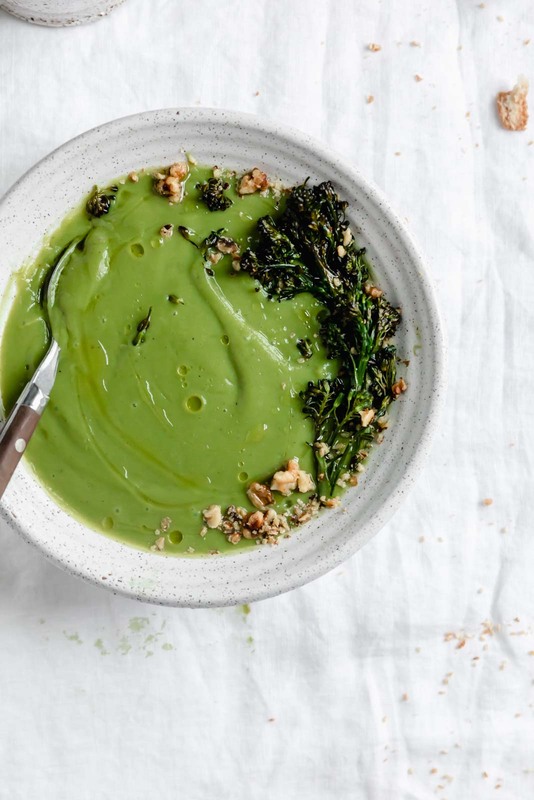 Whip this up for an easy lunch or, top it with some roasted broccolini and a drizzle of high quality olive oil for a show stopping first course at a dinner party. Either way, you won’t be disappointed by this soup. 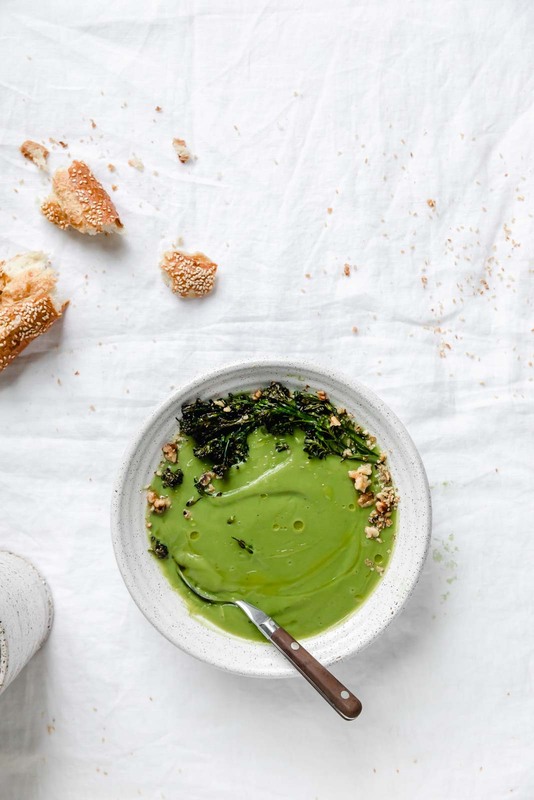 Can’t wait to hear how much you all love this Healthy 1 Ingredient Broccoli Soup! See you guys Wednesday with a new recipe! 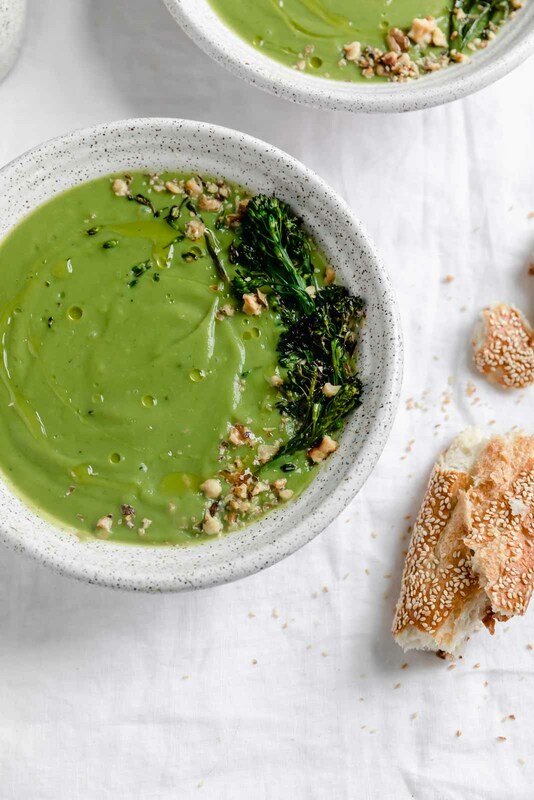 You won’t believe this uber creamy soup only contains one thing: broccoli. 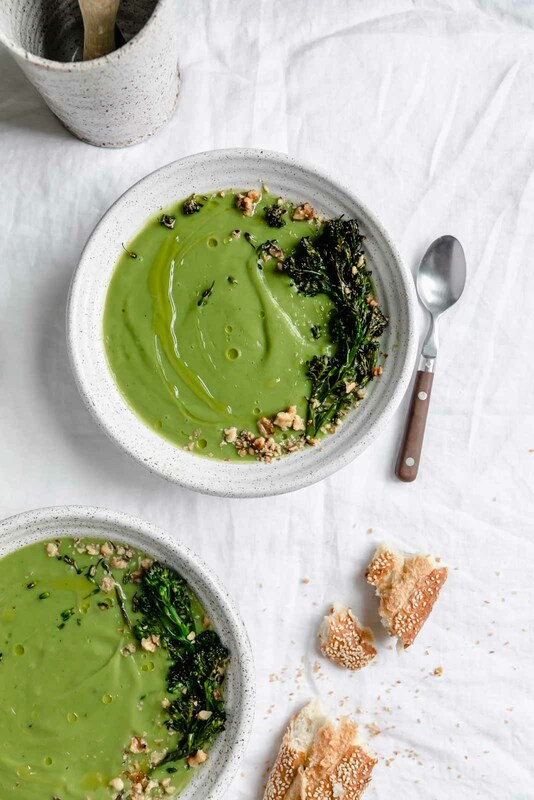 This healthy 1 ingredient broccoli soup comes together in under 10 minutes and will trick even the biggest vegetable haters into getting their greens. In a large pot (like the biggest one you have. It has to hold all your broccoli heads), bring water to a boil. Add a large pinch of salt. Once water is boiling, add the broccoli and boil until you can pierce the broccoli super easily, around 8 minutes. Don’t drain the broccoli!!! Using a slotted spoon remove the broccoli from the pot and transfer it to your blender (be careful, it’s hot!) Pour about 1/2 cup of water leftover from boiling the broccoli (it should fill the blender about a quarter of the way). Pulse the broccoli and water until it starts to break down, and then puree on high until the soup is creamy. Add salt and pepper to taste. Pour soup into bowls. Drizzle with olive oil and/or garnish with some roasted broccolini and toasted walnuts! Ok this is GENIUS. One ingredient soup?? And it’s healthy! Definitely going to have to try this out soon. DO IT. It’s actually so delicious. Can’t wait to hear how it goes for you! Oh my! This is wonderful! And if you feel the need to add something (cooked barley, diced cooked carrots, cooked ham) you could warm it up and put it in your bowl. 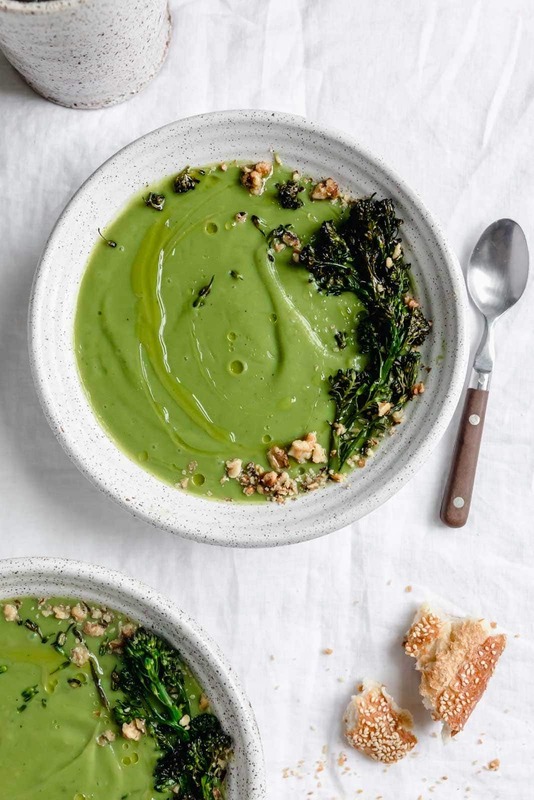 I love the idea of just broccoli soup though! 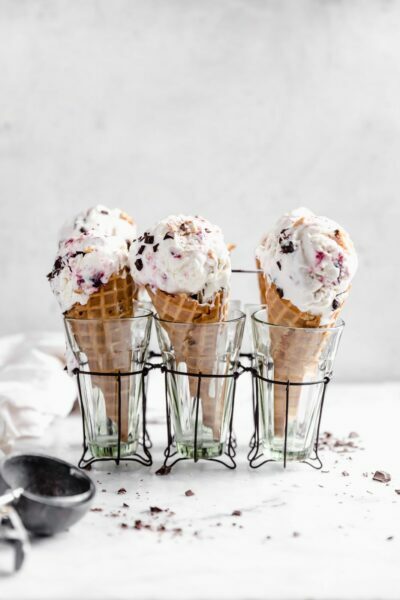 The creaminess is killin’ me! Love this idea! It’s SO creamy. I don’t understand how or why but it’s literal magic. Thank you Jill! 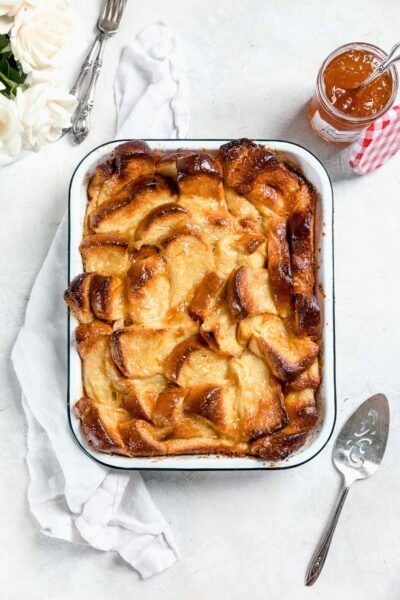 This looks delicious I will have to try soon!